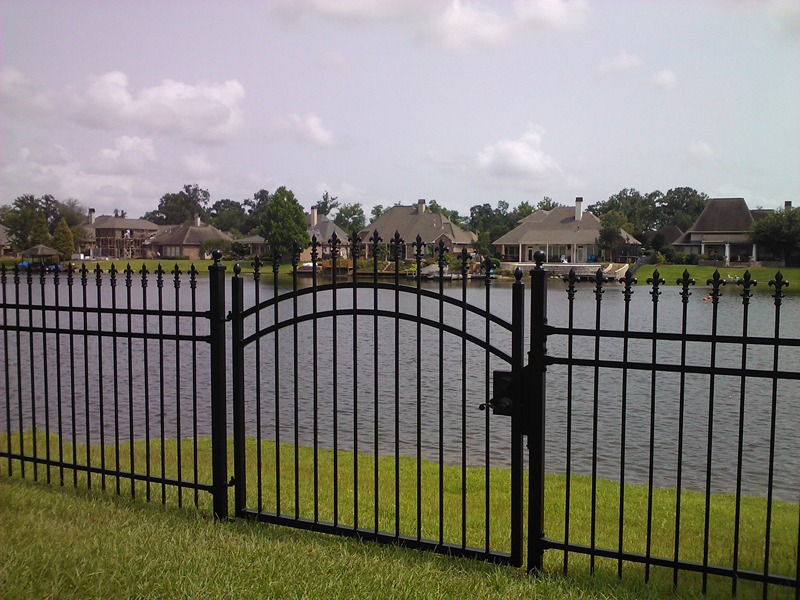 Wrought Iron Fencing in Prairieville, La. Customize your wrought iron fencing and gates with Ascension Fence & Deck. Perfect for driveways, courtyards & backyards. 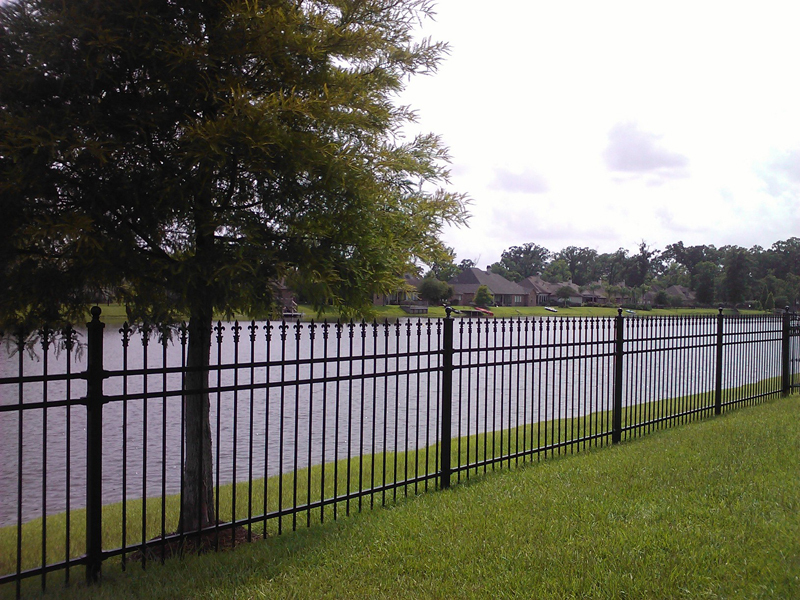 Wrought iron fencing is a sturdy and bold fencing option with unlimited styles to choose from. Fleur de Lis, Quad tops finials, puppy pickets and ball capped posts are just a few of the custom options offered in wrought iron. 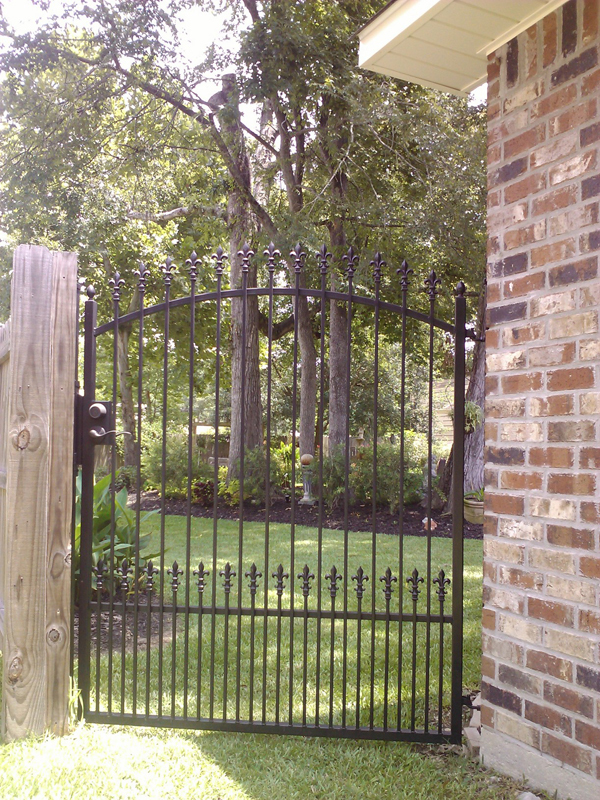 Arched driveway gates and walk thru gates with keyed locks are recommended for securing entry ways to your home or business.